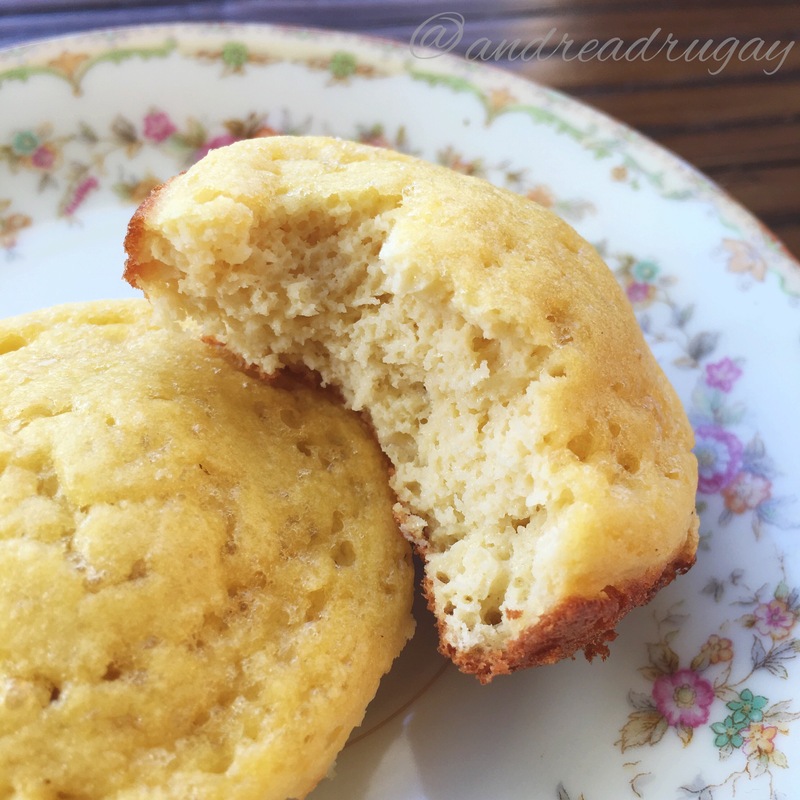 Here’s a recent favorite because it’s very quick and easy, the muffins are delicious, and this version is actually healthy. Think about it: how often do you really eat a “healthy” muffin? Trust me, once you try these, you’ll understand what I mean by delicious and healthy. Coconut flour is flour made from the dried meat of defatted coconuts. So, like coconut meat, it is high in fiber and low in carbohydrates. It’s also lower on the glycemic index than other flours like wheat. It’s great for those who are gluten-free or Paleo! These little muffins are super-easy to whip up and only take 15 minutes to bake, so you can have them at the ready in the morning or with dinner. They are subtly sweet and buttery, with no single overwhelming flavor, making them a great addition to breakfast or a larger meal. Baking with coconut flour is a little different than working with other gluten-free flours. It absorbs a lot of liquid, hence the extra egg(s), but that helps it stay moist and delicious, even for next-day eating. These muffins don’t rise the way, say, a traditional blueberry muffin might — they are kind of like a cornbread muffin, a little more compact. They are, however, wonderfully non-crumbly, which is helpful if you’re a mess when you eat like, ahem, some of us might be. For variations, you could fold in berries, nuts, or even sugar-free chocolate chips! If you make any changes to the recipe, I’d love to hear. Leave a message in the comments with your alternative. Thoroughly grease 6 muffin cups with butter, Earth Balance, or coconut oil. I prefer this method over using muffin/cupcake liners because of the compact size of these muffins. In a small bowl, sift together the coconut flour and baking soda until integrated. In a separate, medium-sized bowl, mix together the eggs, butter, milk, stevia, salt, and vanilla. Gradually add the flour mix to the wet mix and stir until smooth. Serve warm or keep covered until serving. Just a reminder: all product recommendations are my own and are not sponsored or paid for in any way! These could easily be turned into berry muffins by adding some berries. Yum! How much POWDERED stevia is equal to 1/4 tsp. liquid stevia? I only have the stevia powder.